Human trafficking generates over $150 billion a year — and all of us are funding it. There are more people in slavery today than at any point in history. And we're all buying into it, not intentionally, but slavery is hidden in the supply chains of products we buy and use on a daily basis. The UN's Global Goals call for action on eliminating slavery and modern trafficking, and ensure decent work for everyone. You can join us in taking a stand against modern slavery here. Do you sip coffee while you scroll news headlines on your smartphone? Put on lipstick on the train? Listen to a podcast as you pull on a shirt? We all have our morning routines — but the hidden reality behind them is that, before we even hit 9 a.m., every one of us has likely used a product that could have been produced by a slave. There are over 40 million people in slavery in the world today — that’s more than in the 200-year transatlantic slave trade combined. Human trafficking is one of the top three most lucrative illegal business worldwide, generating over $150 billion each year. And all of us are funding it. Indirectly, inadvertently, but inevitably. We may not be buying directly from slave-owners themselves, but slavery lurks in the supply chains of hundreds of the products we use every day. You might not know it, but everything from the shirt you’re wearing to roses, make-up, smartphones, prawns, rice, chocolate, and jewellery can have slavery in its supply chain. In fact, the Ethical Trading Initiative reports that "71% of [UK] companies believe there is a likelihood of modern slavery occurring at some stage in their supply chains." For example, take a cotton shirt. The brand selling this shirt may have audited their first-tier suppliers to ensure that the factories sewing the garment are paying fair wages. But the cotton fabric is sourced from somewhere else. It is grown, spun, knitted or woven, and dyed – each in different places and by different people. Every stage in the process presents an opportunity for hidden exploitation. 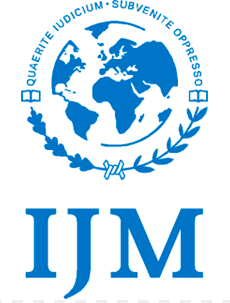 International Justice Mission witnesses this firsthand, as the largest anti-slavery organisation in the world. It is are a team of investigators, lawyers, and social workers who assist police around the world to find and free slaves — and then prosecute traffickers to stop slavery at source. 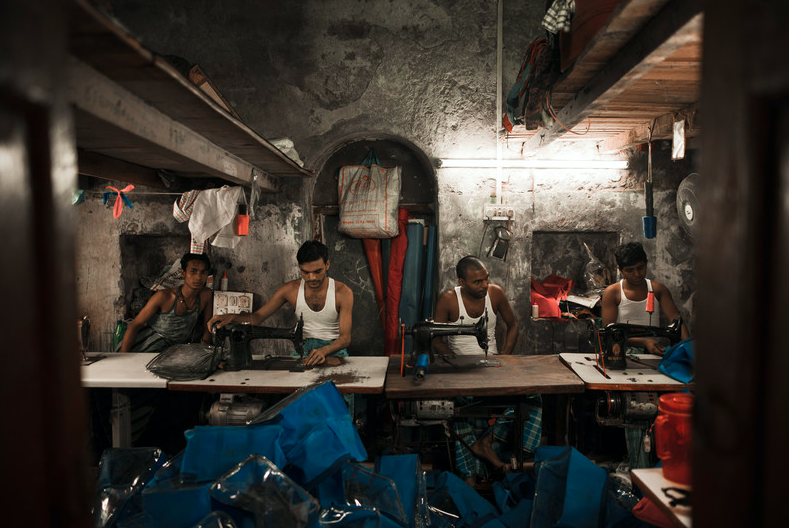 In August, three families who were being forced to work in a textile factory in India were rescued by IJM. Imagine it: you’re promised accommodation and good wages, so you accept an advance and move your whole family. But when you arrive, your "accommodation" proves to be an asbestos-roofed shack, 3m square, without a toilet. You are forced to run a dangerously understaffed factory, keeping 60 powerlooms running 24/7. Brutal 12-hour shifts on your feet, into the night, enforced by the abuse of the factory owner, become the norm. Your children are made to work and can't go to school. You aren’t allowed to visit the hospital when you’re sick or go to your home village. Your dream for a new future has become a nightmare. This is a reality for millions of families. In this case, IJM worked with police to rescue the families held in the factory and arrest the owner. But the suppliers he was sourcing may have had no idea that the fabric they bought had been made by people in slavery. This is a familiar pattern. From the cobalt used to make our smartphone batteries to the beans ground into our morning coffee, slavery is hidden in many of our favourite items. The issue may seem overwhelming — but as a consumer, you are powerful. Slavery in supply chains has flourished because consumers don’t know it’s happening; it's extremely difficult for corporates to have full sight of supply chains; and in the face of complex, organized crime, it’s a challenge for justice systems in source countries to deal with the problem. IJM works with governments and law enforcement to restore and equip justice systems – from police to judiciary – to root out slavery on the ground and prosecute offenders. And they've found that slavery has decreased dramatically in places where they've partnered with police and governments to find where slavery is happening, rescue survivors, and convict offenders. So how do we all become part of the change we need to see? What can you do as a consumer? Conscious, ethical brands are out there. Finding and buying from brands that are making an effort to prevent slavery and exploitation in their supply chains is important because it makes a strong statement that the issue of slavery is important to us as consumers. Look for brands that are transparent about their supply chains and are taking active steps to help stop slavery and exploitation. What’s more, you can challenge the brands that you love and ask them to take action. From the revolution in plastic to the growth of Fairtrade, consumers' power works. Raise your voice and show you care – email, tweet, or write to brands and ask them where they make their clothes, products or how they source their food – and what steps they’re taking to avoid slavery. The more brands that know their customers care about their supply chains, the faster they’ll take action and work with governments and police to help stop slavery at source. And don’t stop with brands — keep your finger on the pulse of what’s happening in politics. What is your government doing to help stop slavery in supply chains? Stay engaged and speak with your local politician, write a letter, get tweeting, or attend conferences on slavery in supply chains. Raise your voice on this issue, share on social media, take a stand. 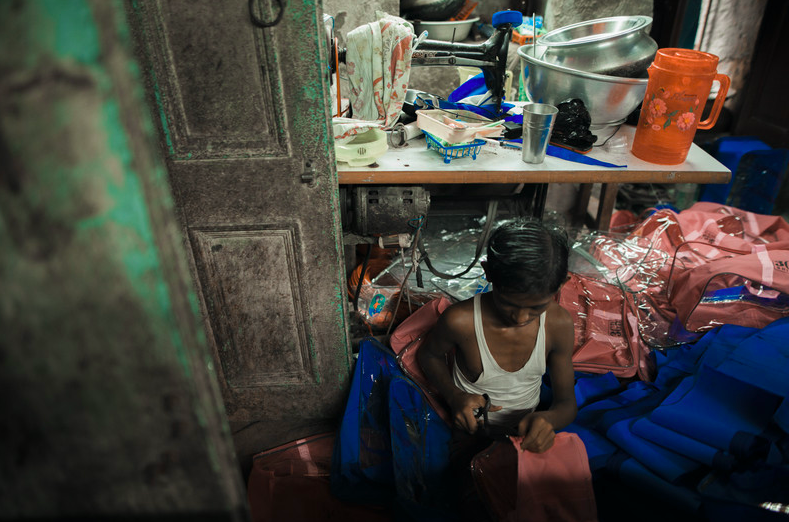 Slavery might be normal in everyday products now – but it doesn’t have to be forever. Together, we can make slave-free normal. For more information about IJM and ways that you can combat slavery, visit the website here.